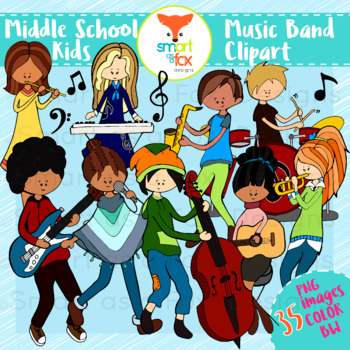 ♥This collection contains 35 clipart pieces in the style of our Middle School Kids cliparts: 22 vividly colored images and 13 black and white (lineart) images. ♥All images in this set have a high resolution of 300 ppi for clear printing and to easily alter the size of the clip art. ♥ All images are saved as PNG files with transparent backgrounds to fit well on any personal, educational, or commercial creation. ♥If you have any questions or requests feel free to email us at: smartasafoxdesigns@gmail.com)! Thank you for your support! 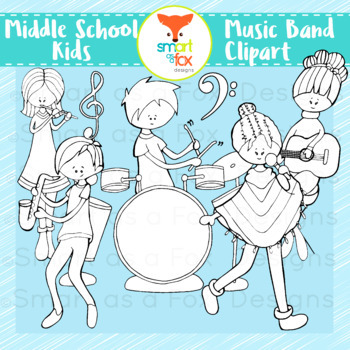 •All graphics are the creative property of the Smart as a Fox Designs shop owner on teacherspayteachers.com. These cliparts/images/graphics cannot be resold or redistributed. •Do not attempt to resell a file containing copies of these images or stationary of our isolated graphics that are not part of a lesson or activity. •Our graphic art strictly CANNOT be used to create graphic design products (t-shirts, coffee mugs, stickers, etc) to be sold on a website, such as Zazzle or similar websites. •Purchasing these cliparts/images/graphics does not transfer the copyright to you. Do not attempt to claim our graphics as your own art. •The license to use this product is non-transferrable. •You must ensure that our graphics cannot be easily copied or removed from your product. 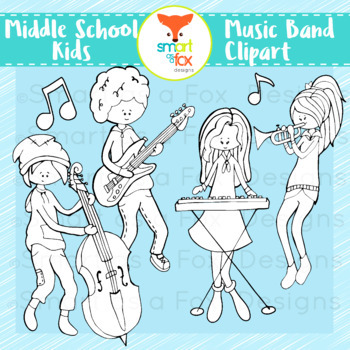 •All products that incorporate our graphics must include credit to Smart as a Fox Designs. 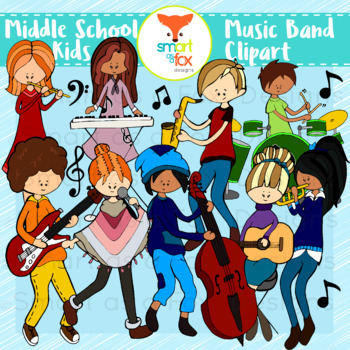 This can be accomplished simply by adding a link to our TPT store (https://www.teacherspayteachers.com/Store/Smart-As-A-Fox-Designs) and/or by including my logo in your document.